Enjoy the best inspirational, motivational, positive, funny and famous quotes by Amishi Jha. Use words and picture quotations to push forward and inspire you keep going in life! 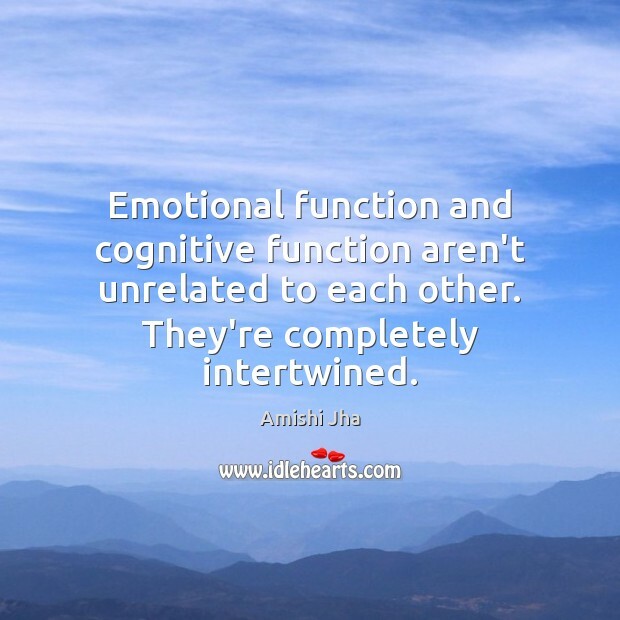 Emotional function and cognitive function aren't unrelated to each other. They're completely intertwined. 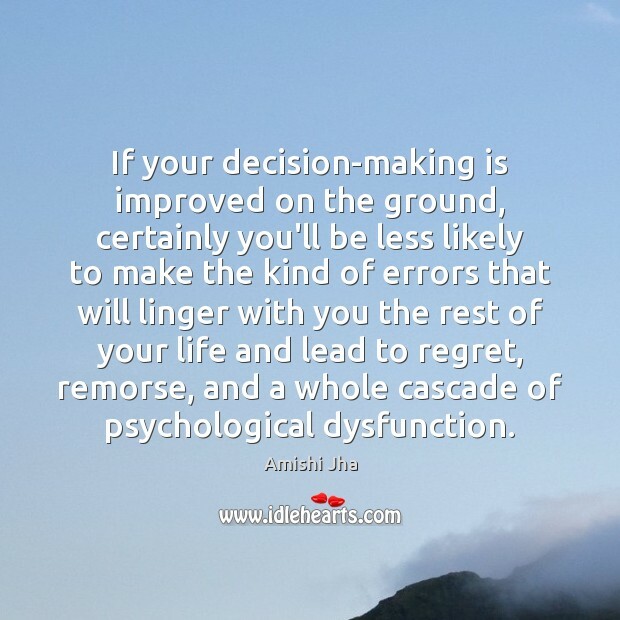 If your decision-making is improved on the ground, certainly you'll be less likely to make the kind of errors that will linger with you the rest of your life and lead to regret, remorse, and a whole cascade of psychological dysfunction. 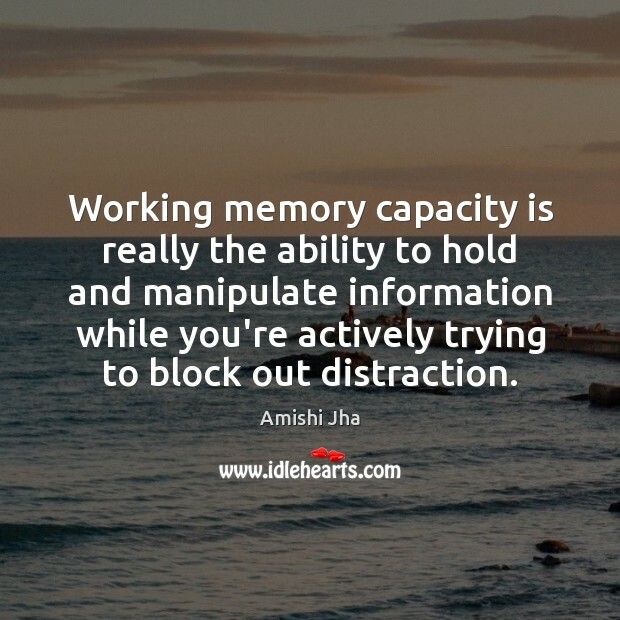 Working memory capacity is really the ability to hold and manipulate information while you're actively trying to block out distraction.